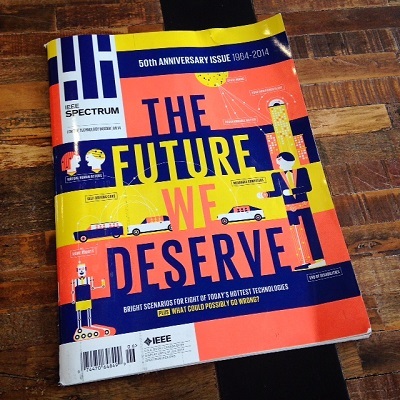 This month, IEEE sent out the 50th anniversary issue of their magazine IEEE Spectrum. This particular issue offers an inspiring and hopeful special report on what the next 50 years will bring in terms of technology advancements. Who Is Behind IEEE Spectrum and Why? Not surprisingly, IEEE Spectrum is the brainchild of IEEE, which is short for the Institute of Electrical and Electronics Engineers. 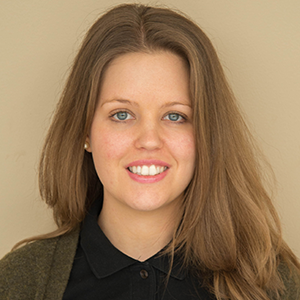 As the name suggests, the association is made up of and caters to electrical engineers — but not exclusively. IEEE has a fascinating history dating back to 1884. Why 1884? That’s when the role of electricity started to grow in importance in society. The association started out serving those in the newly established electrical industry under the original name American Institute of Electrical Engineers (AIEE). In 1895, Guglielmo Marconi began experimenting with wireless technology, eventually making way for a brand new industry. In 1912, another association formed to support engineers in this new industry called the Institute of Radio Engineers (IRE). Over time, the two associations expanded their horizons and ultimately (in 1963) merged into what we today know as IEEE. At inception, the vast majority of members were from the United States. The group’s members were part of the great driving force for technological innovation and as technology advanced, so did the role of the association. These days, IEEE is a society with an international reach and is involved in technological innovations that benefit humanity in a broader sense. As part of their member support, IEEE hosts conferences, publishes journals and magazines, and backs a long list of societies. IEEE Spectrum is their number one magazine, first published in 1964. Today, IEEE Spectrum also encompasses a website that together with the physical copy serves to keep members up-to-date on technological, scientific, and engineering developments and trends. The association’s mission statement, if you will, makes it clear why technology advancements is the theme of the 50th anniversary issue that arrived in my mailbox this month. The magazine features glimpses into (a potential version of) the future, broken into eight of today’s most promising technologies. While they make it clear the scenarios are not predictions, but possible outcomes, they sure do make the future seem bright. Each story is anchored with a “What Could Possibly Go Wrong?” section to provide both sides of the coin. Here’s a synopsis of a few of these scenarios. The first article discusses advancements in the biomed industry, in particular bionic limbs for amputees and brain pacemakers to control depression. The piece lays out a future reminiscent of the (now sadly canceled) J.J. Abrams TV show Almost Human, where you can replace a lost body part with a synthetic that acts equal to if not better than your old part. Research in this area is already well underway. If you haven’t already heard of Hugh Herr’s current bionics project at MIT, turn to page 30 of the June issue of IEEE Spectrum. Another scenario (pg. 48) focuses on entertainment: creating interactive “humans” on a computer. There’s something very Doctor Who about this prospect (think “The Girl Who Waited” from Series 6); the person you see on screen acts entirely human — but they’re not. In Doctor Who, it was a fictional interactive digital concierge. In IEEE Spectrum, it’s the future of movies and concerts. According to the article, researchers from the University of Southern California’s Institute for Creative Technologies have programmed a strikingly realistic human whom they call Digital Ira. Ira can apparently show emotional responses to stimuli as fast as a real human would, thanks to a graphics processor. While “his” emotional range is wide, there may still be some work before he’s a perfect copy. Three other articles in the special report take on a theme of personalization. One dives into the topic of malleable materials (pg. 40). More specifically, the idea is to create teeny tiny computers that can shape-shift and communicate with each other. Then, you would press a button and assemble the computers into whatever form you wish — a sofa to sit and watch digital humans on, perhaps? Next, imagine a world where you and your neighbors each have your own power plant (pg. 54). The electricity needed to run your household or business will come from your personal system and you can store and share it as you wish. This could enable communities around the world to reach a net-zero-energy state. At the moment, that is just what the town of Fort Collins, CO is aiming for. They have already taken action, but the ambitious project has yet some ways to go. A couple of other articles portray a society where robots increasingly assist our daily lives. Self-driving cars are all the rage right now in media, as prototypes and certain features are already being tested and rolled out (pg. 60). In the future, they may become both more advanced and the de facto standard. And when you’re not on the road, you will have robot assistants helping out at home with everything from folding laundry to keeping you company (pg. 74). “IEEE”, the IEEE logo, and other IEEE logos and titles are registered trademarks or service marks of The Institute of Electrical and Electronics Engineers, Incorporated.